We have been organizing multi-day group travel since our company was founded in 1927. Munckhof is the perfect partner for multi-day group trips. We have been organizing multi-day group travel since our company was founded in 1927. What makes Munckhof so unique is that we offer solutions that are specifically tailored to your needs and budget. We work closely with local agents to offer your travellers the most unique trip. Most multi-day trips are taken by coach, but travelling by plane, train or boat is also possible. Whichever mode of transport you choose, we will arrange your trip from A to Z. This includes local excursions, group accommodation, host families and exchange programmes. We take care of it all! Safety is a top priority when arranging a trip for a group of pupils. Munckhof guarantees high quality and safety by using modern and well-maintained vehicles operated by extremely professional and experienced drivers. 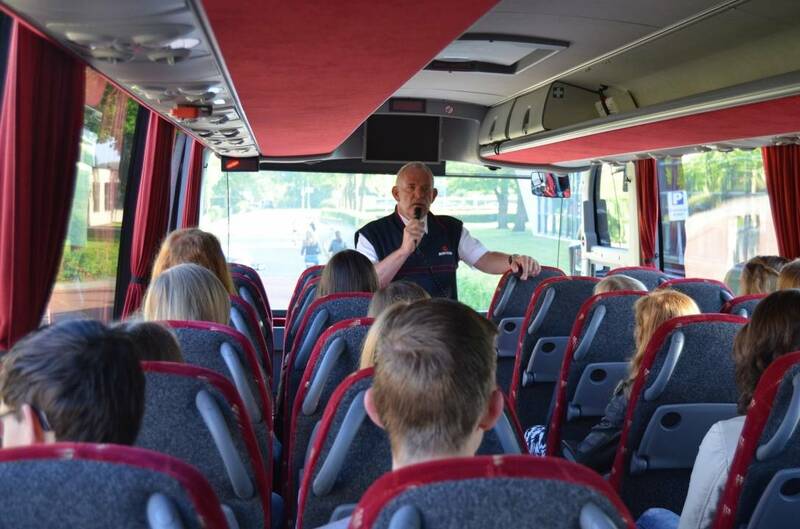 If you plan to travel by plane, boat or train, we can arrange for the tickets and for a clear overview with relevant information for your pupils. By working closely with our international network of travel partners, we can guarantee high quality and excellent service anywhere in the world. Munckhof is member of the global travel management network Reed & Mackay. The network consists of leading corporate travel agencies in more than forty countries worldwide who work closely to support and facilitate organisations in their international corporate and group travel needs. As a valued client, we would be happy to share the benefits of our global network with you. If you would like to book a trip, contact us for a free quote.